The French President Emmanuel Macron has told a gathering of art world figures that France must re-think its cultural policy, highlighting how culture and creativity can help fight extremism. At the event held last week at the Élysée Palace in Paris, the presidential residency, Macron highlighted the "political struggle we have today, fighting against obscurantism [extremism], and the marginalisation of creation and culture”. Macron told cultural figures including curators and critics as well as dealers from the 45th edition of the Fiac fair—which closed on Sunday (21 October)—that “we have to bring to the country, and to the continent, a project [based on] civilisation and culture, putting creation at the heart of what we are”. Artists in attendance included Mathieu Mercier, Laurent Grasso, Adel Abdessemed and Eva Jospin. 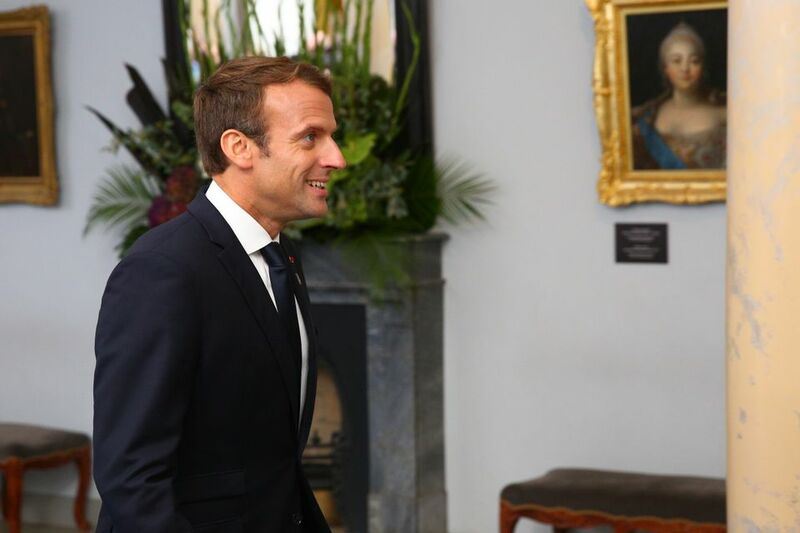 Macron has asked Bernard Blistène, the director of the Centre Pompidou’s Musée national d’art modern, and Laurent Le Bon, the president of Paris’s Picasso Museum, to select works that will be installed at the Élysée Palace. "This place must be the showcase of contemporary culture and creativity," said the head of state. The president also announced plans to revise the visa system for artists wishing to reside in France, and reiterated how Thierry Tuot, the president of the administrative council of the French Academy at Villa Medici in Rome, was commissioned earlier this year to conduct a review of artist residencies funded by the French state (his report has not yet been published). No further details of Macron’s strategy were announced.